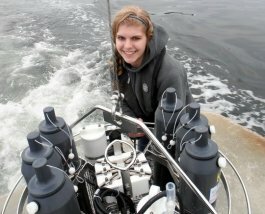 Read about our community college student interns' summer research experiences on the PRIME blog! Welcome to COSEE-Pacific Partnerships, a regional Center in the COSEE Network based at marine laboratories in Oregon, Washington, California, & Hawai'i. Our goal is to integrate research & education for community colleges & informal science education professionals & volunteers. Read about our summer interns' experiences on the COSEE PP PRIME blog! COSEE OCEAN has produced a simple, easy to use guide to help scientists make their own short videos about their work and their life as a scientist. Interested in education and outreach or need help with your broader impacts proposal development? Find out how COSEE-Pacific Partnerships can assist you.